Whether you’re coming into the Center City Philadelphia Dental office for a routine Dental checkup or a full set of Dentures, you will instantly feel comfortable thanks to our cosmetic dentists and staff. Our affordable dentist offers teeth whitening, Dental implants and tooth and gum care. We can also provide you with dental crowns, porcelain veneers and direct composite bonding. The staff is fully experienced in traditional Dental services including Tooth Extractions and Bridgework, but are trained in the latest Whitening and preventive care. When you combine our lavish attention to detail with our indulgent patient care and excellent dental practices, you’ll see why so many of our patients refer us to their friends and family. Thank you for visiting Dental Care in Philadelphia. Our site provides you with important information that will help you become familiar with our practice and the general dental treatment and preventive dentistry services that we provide. Our Affordable Dentist is able to build a foundation of trust by treating our patients as special individuals. We understand that you may feel uneasy or hesitant about dental care. Luckily, we can make a difference by providing a positive experience. 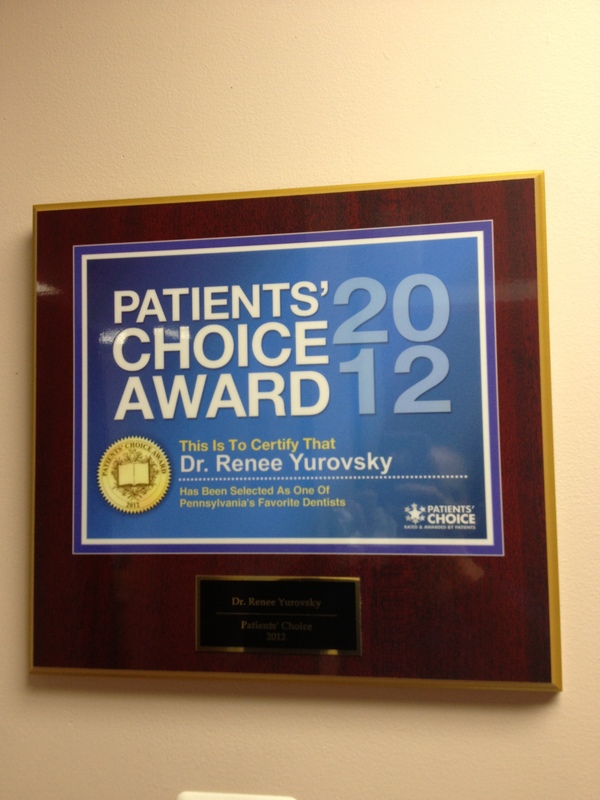 Dr. Renee Yurovsky and her team are dedicated to providing you with uncompromising, personalized care and high-quality service to make your visit as comfortable and pleasant as possible.